6/28/2012 – Hollywood, CA – International ’60s music legend and pop pioneer Tommy Roe is back and better than ever with his first new CD release in many years! 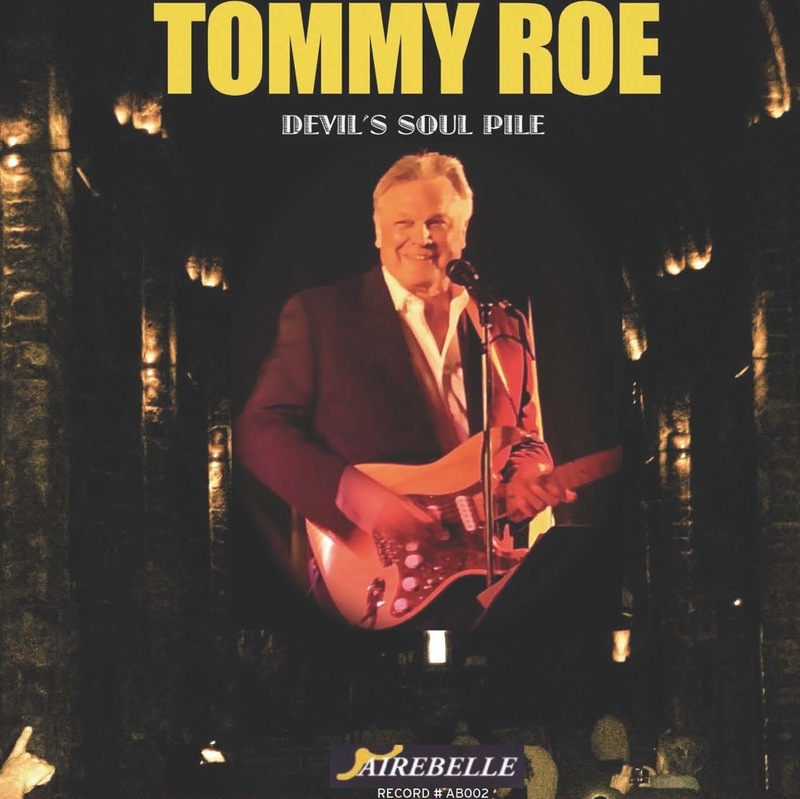 Titled ‘Devil’s Soul Pile’, Tommy Roe delivers a new album that not only contains the rock ‘n’ roll music we grew up with but songs with important messages for today’s times! “I called the new CD ‘Devils Soul Pile’, after a song I have written and included in the line up,” explains Tommy. “The song is a departure from my normal and expected style, and one that tells the story of dysfunctional families, and the effect it has on our youth and our neighborhoods. Lyrically, this song is a bit serious, and was inspired by the everyday news of violence in our neighborhoods and cities. But a song that ends with a message of hope.” Other new songs include “Memphis Me”, “Remember”, “It’s For You I’m Me”, “Without Her” and “Water Underneath My Burning Bridge”. In support of his new album Tommy has been performing several select dates in the US and Canada. Tommy and the band are also looking at offers from the UK and Europe for the upcoming year. A bona fide international star, Tommy Roe wrote and recorded 6 “Top 10” hits between 1962-69, more than any other solo American artist. To his credits he has 11 US Top 40 hits, 6 Top 10s, 4 Certified Gold singles, and 2 #1 Hits. He is a member of the Hit Parade Hall of Fame, The Georgia Music Hall of Fame, and the Rockabilly Hall of Fame. On September 2, 2012 Tommy Roe will be inducted into the Iowa Rock ‘n’ Roll Music Association (IRRMA) Hall of Fame. (http://iowarocknroll.com/news.php?id=201) Born in Atlanta, Georgia, USA, Tommy began writing songs at the age of fourteen, and his first recording effort yielded the international #1 hit..SHEILA. In 1963, Tommy Roe headlined the now famous UK tour, in which a rising band called The Beatles were the opening act!! 5/1/2012 – Hollywood, CA – International ’60s music legend and pop pioneer Tommy Roe will be featured in a new film about The Beatles legendary 1964 concert in Washington, DC called ‘The Beatles The Lost Concert’. 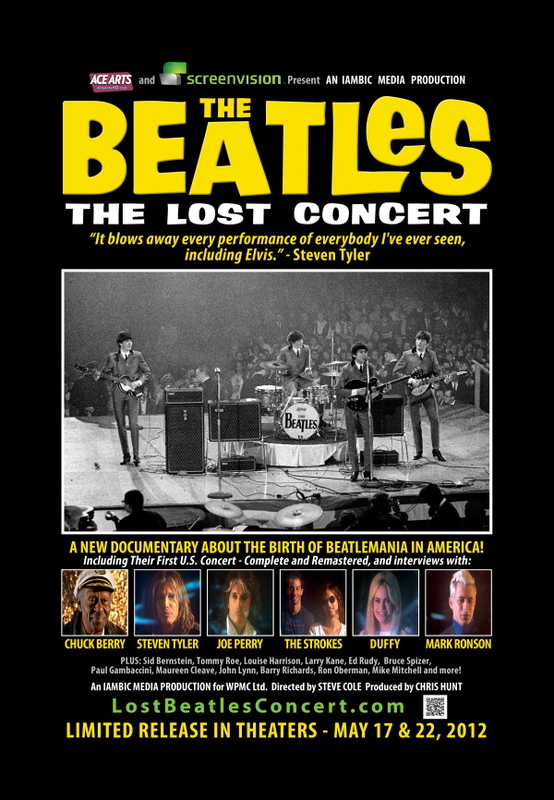 This new documentary on the birth of Beatlemania in America will have its premiere at New York’s world-famous Ziegfeld Theater on May 6, 2012 and will have a limited US theater engagement March 17 & 22, 2012. The Beatles opened for Tommy Roe on the famed UK tour of 1963, in return the fab four asked Tommy to be on the bill with them at their first ever US concert in Washington, DC. The whole story is related through new interviews with celebrities, historically important people, journalists and DJs, photographers, historians and original concert goers, along with plenty archival footage. Also, unseen on the big screen for over four decades, the original concert footage has been restored and remastered. On February 11, 1964, two days after their legendary appearance on the Ed Sullivan Show, The Beatles performed at the Washington Coliseum. After performances by The Caravelles, The Chiffons and Tommy Roe, The Beatles played a 12-song half hour show to an ecstatic audience. The concert was professionally filmed and mixed on location, and then one month later broadcast via closed-circuit to movie theaters across America. The concert has been hidden away in the vaults for over 45 years! For more information visit: http://www.lostbeatlesconcert.com. In celebration of the new Beatles documentary, Tommy Roe will be featured on the nationally syndicated SiriusXM radio show ‘Breakfast With The Beatles’ on April 29, 2012. In other news, Tommy Roe will be releasing his first new album in many years in the Fall 2012! In support of his new CD release Tommy will be performing several select dates in the US and Canada. A bona fide international star, Tommy Roe wrote and recorded 6 “Top 10” hits between 1962-69, more than any other solo American artist. To his credits he has 11 US Top 40 hits, 6 Top 10s, 4 Certified Gold singles, and 2 #1 Hits. He is a member of the Hit Parade Hall of Fame, The Georgia Music Hall of Fame, and the Rockabilly Hall of Fame. On September 2, 2012 Tommy Roe will be inducted into the Iowa Rock ‘n’ Roll Music Association (IRRMA) Hall of Fame. http://iowarocknroll.com/news.php?id=201 Born in Atlanta, Georgia, USA, Tommy began writing songs at the age of fourteen, and his first recording effort yielded the international #1 hit “Sheila”. “I will most likely call the new CD ‘Devils Soul Pile’, after a song I have written and included in the line up,” explains Tommy. “The song is a departure from my normal and expected style, and one that tells the story of dysfunctional families, and the effect it has on our youth and our neighborhoods. Lyrically, this song is a bit serious, and was inspired by the everyday news of violence in our neighborhoods and cities. But a song that ends in hope.” Other new songs include “LA I Belong To You”, “It’s For You I’m Me” and “Water Underneath My Burning Bridge” as well as a re-recorded version of “Kick Me Charlie” from Tommy’s 1965’s ‘Sweet Pea’ album. 3/5/2012 – Hollywood, CA – International ’60s music legend and pop pioneer Tommy Roe is back and better than ever with his first new CD release in many years! In support of his new album Tommy will also be performing several select dates in the US and Canada. A bona fide international star, Tommy Roe wrote and recorded 6 “Top 10” hits between 1962-69, more than any other solo American artist. To his credits he has 11 US Top 40 hits, 6 Top 10s, 4 Certified Gold singles, and 2 #1 Hits. He is a member of the Hit Parade Hall of Fame, The Georgia Music Hall of Fame, and the Rockabilly Hall of Fame. 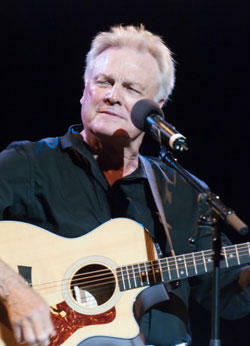 On September 2, 2012 Tommy Roe will be inducted into the Iowa Rock ‘n’ Roll Music Association (IRRMA) Hall of Fame. http://iowarocknroll.com/news.php?id=201 Born in Atlanta, Georgia, USA, Tommy began writing songs at the age of fourteen, and his first recording effort yielded the international #1 hit..SHEILA. In 1963, Tommy Roe headlined the now famous UK tour, in which a rising band called The Beatles were a featured act on his tour. “I will most likely call the new CD ‘Devils Soul Pile’, after a song I have written and included in the line up,” explains Tommy. “The song is a departure from my normal and expected style, and one that tells the story of dysfunctional families, and the effect it has on our youth and our neighborhoods. Lyrically, this song is a bit serious, and was inspired by the everyday news of violence in our neighborhoods and cities. But a song that ends in hope.” Other new songs include “LA I Belong To You”, “It’s For You I’m Me” and “Water Underneath My Burning Bridge” as well as a re-recorded version of “Kick Me Charlie” from Tommy’s 1965’s ‘Sweet Pea’ album. Also included is a cover of the classic Tim Hardin song “If I Were A Carpenter”, which Tommy has performed in concert for many years. June 17 (tentative) Ponte Vedra, Fl.